Throughout this whirlwind however, Matthew would continue to have random, horrific colic-y gas fits and horrific nights. He’s at the adorable age of 6 months now, nursing better, and at a point where many babies are over this. Because these fits were not consistent, I figured it had to be something he was getting from my milk. What I eat changes from day-to-day, so it made sense. All this time I had cut all dairy, but as the fits continued, I racked my brain on other possible culprits. Then..EPIPHANY. I realized there was a verifiable trend. Monosodium Glutamate, as many of you know, is a flavor-enhancing additive that has stirred up quite the controversy over the years. The FDA argues that is “generally recognized as safe,” however there are many reports of adverse effects. So the FDA agreed that it must be disclosed in ingredient lists. There are those that claim allergies against it, with symptoms that include headaches, flushing of the face, weakness, nausea, and even a rapid heart beat. As a dietitian who is a firm believer that a healthy diet just comes down to whole, unprocessed foods, I don’t trust it, and don’t think it’s worth it. I thought my diet was already pretty MSG-free. It is something I have always checked as an avid label reader. But oh, I was mistaken. Here’s the catch: there are products out there that boast, “No MSG” on their label, but they STILL have free glutamic acid, sneakily hidden in their other ingredients. For example, hydrolyzed soy protein contains it. According to truthinlabeling.com, any hydrolyzed protein can technically produce free glutamic acid, or MSG. Autolyzed yeast is another glutamate yielding ingredient. Modified food starch, which is in EVERYTHING it seems, often has it too. So what have I eaten over the past 6 months that caused Matthew to have a horrific, screaming, make-mommy-bawl-her-head off fits? -Take out pizza. Yes, Dominoes, Papa John’s have LOTS of MSG in their pizza dough and sauces. -Frozen pies. They may be nice to just pop in the oven for dessert, but most contain modified food starch or MSG. I had a little Mrs. Smith’s frozen apple pie and boy was that a rough night. -Box mixes. Scalloped potatoes were the culprit. Next time I eat scalloped potatoes it will be made from scratch. -Cream of ____ soups. Cream of mushroom? More like cream of MSG. Better off finding a recipe to make your own. -Powerade. Didn’t actually drink it so can’t confirm it would have caused Matthew a fit. We got some to have while I was sick. Checked the label and there it was, modified food starch. Not. Worth. The. Risk. That folks, is just the tip of the iceberg. This post would be WAY too painfully long if I named more stuff MSG lurks in. If you’re like me and are throwing your arms up in the air, shrieking, “WHAT THE HECK CAN I EAT THEN?” I feel your pain. It is HARD. Deceiving? Misleading? Confusing? You bet. What it comes down to, people, as hard as it is to do in our busy, busy lives, is good ol’ made-from scratch, whole-foods cooking. If you want to be healthier, or even lose weight, you don’t need to eliminate carbs, or follow some popular fad diet. You just need to be aware of what you are putting in your body and simply don’t trust that most food companies have your best interests at heart. Instead they do what the FDA will let them get away with to improve their bottom line. Sad, but reality. The American Academy of Pediatrics says MSG poses no threat to breast milk, but in my case, I would have to disagree. Although I can’t confirm the connection with absolute certainity, there is too much of a trend here to just ignore. It really seems Matthew has some sort of sensitivity to it. When I brought this up to his pediatrician she felt it could very well be a possibility. If your baby is having colic fits and you breastfeed, this may be something to consider and try eliminating from your diet. 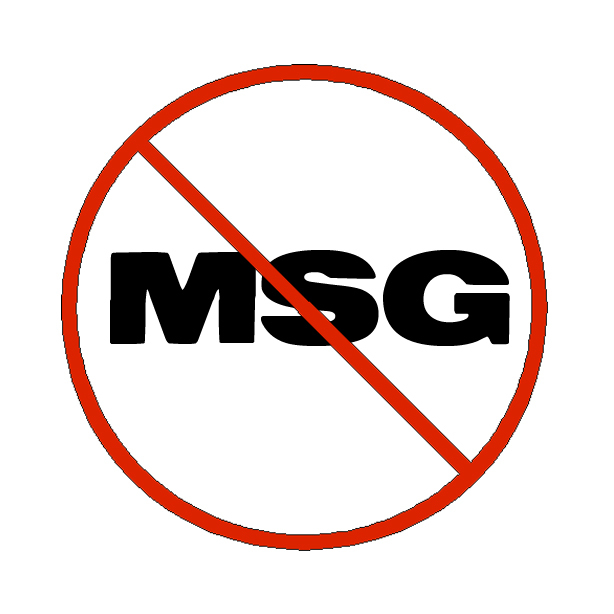 You may argue that MSG doesn’t affect you personally, (I myself don’t seem to have any visible symptoms) but WHO KNOWS what it could be doing to you internally. More research needs to be done in this department.